WP Rocket 3.0 was released last week, bringing brand new interface with few other minor new updates and features. The new version introduces the concept of Add-ons, with more expected in the future. New WP Rocket interface looks really great, it is responsive, and includes more ways to get help and learn more about configuring and using the plugin. The dashboard contains the basic information about your account, options to clean the cache, purge OPCache and start the cache preload. It also offers an easy way to get help and discover various plugin information. As before, plugin settings are split into different panels, now with a better organization, making it easier to configure the plugin. One of the important updates to the way the plugin works is the support for the Kinsta hosting and their methods for caching that previously were a problem to support. Finally, some of the features have been moved into the Add-ons panel (Varnish and CloudFlare). Any feature that is not essential or it is made to support some external service, will be added as an addon, and more such features are expected in the future. 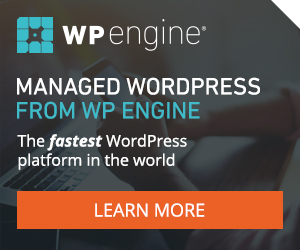 With this, WP Rocket can be expanded with optional features, without messing with the plugins simplicity. As for the performance, WP Rocket is good as ever, now a bit easier to configure and with a lot nicer interface. Can’t wait to see what is coming next, and what kind of optimizations will be added soon.